In anticipation of all but three teams’ final game of the season being played tomorrow, the NHL’s schedule is rather light this evening with only four matchups to offer. Two puck drops (Ottawa at Pittsburgh [RDS] and Buffalo at Tampa Bay) get the evening underway at 7:30 p.m., while St. Louis at Chicago waits an hour before following suit. Finally, Dallas at Anaheim (NBCSN) closes out the night’s festivities with a 10 p.m. fixture. All times Eastern. Ottawa at Pittsburgh: The Pens need at least one point to clinch second place in the Metropolitan Division. Buffalo at Tampa Bay: The Bolts are tied with Boston in points and games played; currently winning the regulation+overtime tiebreaker by one victory. St. Louis at Chicago: The Blues trail Colorado by one point with a game in hand. No matter if they win or lose this rivaly game, Saturday’s showdown with the Avs determines their playoff fate. Dallas at Anaheim: The Ducks currently trail Los Angeles for third place in the Pacific Division by one point, but they have one game in hand (tonight’s game). Saturday’s results will ultimately solidify the Ducks’ and Kings’ spots in the standings. Since I’m almost certain we’re going to be focused on tomorrow’s game in Denver, let’s head to The Pond to see if the Ducks can capitalize on their game in hand. Even though the 41-31-8 Stars have been eliminated from playoff contention since Sunday (thanks to an Anaheim overtime win, as luck would have it), they’ve shown some impressive character to post a 3-1-0 record over their last four showings, with wins coming over the Flyers and Wild at home and in San Jose on Tuesday. In particular, Dallas’ defense has been putting up a solid fight lately by allowing an average of only 30 shots against per game during this run, the (t)11th-best mark in the NHL since March 27. Led by C Radek Faksa (averaging a takeaway per game since March 27), D Marc Methot (2.8 hits per game in that time) and D Greg Pateryn (2.5 blocks per game over this run), the Stars have been doing their best to make 14-14-3 G Kari Lehtonen look good to close the season. Speaking of Lehtonen, he’s tried his hardest to take full advantage of everything is defense is doing in front of him. Having started all of the last four games, he’s posted a .912 save percentage and 2.79 GAA – both numbers right in line with his season marks of a .911 save percentage and 2.58 GAA. However, it will not be Lehtonen in net this evening, as Head Coach Ken Hitchcock indicated this morning that 1-0-0 G Mike McKenna will get the nod instead. Tonight will be McKenna’s first NHL start since February 16, 2015, when he led the Coyotes into Denver only to lose 5-2. But wait, Stars fans: don’t mark this game down as a loss just yet. After Lehtonen exited Tuesday’s game in San Jose late in the first period with an upper-body injury, McKenna kept the Sharks off the scoreboard with 17 saves to turn a 2-0 deficit into a 4-2 Dallas victory, earning his first NHL win since December 23, 2013 when he was a member of the Columbus Blue Jackets. In 23 NHL appearances going back to the 2008-09 season, McKenna has an .892 career save percentage and 3.35 GAA. I’ve already said it once this week, but there’s no team hotter in the Pacific Division than 42-25-13 Anaheim. Since March 14, the Ducks have posted a dominating 8-1-1 record to keep third place in the Pacific Division still within reach. One needs look no further than the Ducks’ defense to figure out where they’re finding all their wins. Led by C Ryan Getzlaf (13 takeaways in his last nine games) and D Josh Manson (3.6 hits and 1.8 blocks per game since March 14), Anaheim has allowed only 29.9 shots against per game during this 10-game run to rank seventh-best in the NHL since March 14. There was undoubtedly concern in the Ducks’ dressing room and front office when 31-18-7 G John Gibson went down with a lower-body injury Sunday against the Avalanche. After all, Gibson had been playing even better than his .926 season save percentage and 2.43 GAA lately, posting a .936 save percentage and 1.9 GAA in his nine starts before going down. But then everybody in Anaheim remembered they had the 2010 Vezina winner as their backup, and they all settled back into their seats. With a .927 season save percentage and 2.43 GAA, 10-6-6 G Ryan Miller has been a stellar backup goaltender this season that’s only gotten better now that he’s been temporarily thrust into the staring role. In his last two appearances, Miller has allowed only three goals for a .938 save percentage and 1.77 GAA – numbers that bring back memories of that 2009-10 campaign with the Sabres. With the Ducks making the trip to Arizona after the conclusion of tonight’s game for a tilt tomorrow night against the Coyotes, it remains to be seen whether Miller or 1-1-0 G Reto Berra will take the start tonight. Should Berra get the nod, he brings a .926 season save percentage and 2.31 GAA in five NHL appearances into consideration. Altogether, Gibson, Miller and Anaheim’s defense have united to allow an average of only two goals against per game in their past 10 games – the (t)best mark in the NHL since March 14. As mentioned before, this game simply plays setup for tomorrow’s action. A win of any variety this evening gives Anaheim a one-point advantage on the Kings for third place in the Pacific – at least for the night. An interesting – and likely dreadful – situation arises should the Ducks fall in extra time and only earn one point this evening. Currently trailing Los Angeles by five victories in the regulation+overtime wins tiebreaker, there’s no chance the Ducks succeed their bitter rivals if they end the regular season tied. Therefore, a loss of any variety this evening has effectively the same result for Anaheim: putting all its eggs in beating the Coyotes in Arizona tomorrow and hoping the Kings lose to Dallas at Staples Center. If the season series is any indicator, the Ducks don’t have to worry about overtime tonight as neither of their previous two meetings with Dallas have gotten that far. February 21’s match on The Pond ended in a 2-0 Anaheim victory (Miller took First Star honors with a 41-save shutout), while the Ducks’ trip to Dallas on March 9 saw the Stars earn a 2-1 win (LW Jamie Benn scored the game-winner). The Stars have already proven they’re willing to play spoiler now that they’ve been eliminated, and that spells major trouble for an Anaheim club that wants to win in the most desperate of ways. This game should boil down to which Ducks netminder is between the pipes and whether he can best McKenna. With that in mind, I think Anaheim will continue its winning ways tonight. Though they still have yet to clinch home ice for the first round of the playoffs, the Pittsburgh Penguins completed their season sweep of the Columbus Blue Jackets by beating them 5-4 in overtime at Nationwide Arena in yesterday’s DtFR Game of the Day. Everything fans look for in a good game was present in this tilt. Back-and-forth scoring; 44 combined hits; three power play goals… Should we get a second-consecutive playoff series between these clubs, it will surely be entertaining and extremely competitive. The first period was a high-scoring affair, yet the four goals were evenly distributed between the two sides to leave a 2-2 score going into the first intermission. D Zach Werenski (Third Star of the Game F Pierre-Luc Dubois and LW Artemi Panarin) broke the scoreless draw 5:11 into the game, but First Star RW Phil Kessel (D Justin Schultz and C Sidney Crosby) took advantage of D Seth Jones tripping W Tom Kuhnhackl 4:39 later to level the game with a power play wrist shot at the 10:26 mark. Columbus once again took a one-goal lead when LW Matt Calvert (D Jack Johnson) scored a backhanded shot with 7:21 remaining in the frame, but Pittsburgh once again had an answer – this time a snap shot by Second Star RW Patric Hornqvist (Schultz) 2:56 after the cannon fired for Calvert – to tie the game once again. After such a busy opening 20 minutes, perhaps its no surprise that only one goal was scored in the second period. With D Jamie Oleksiak in the penalty box for hi-sticking Calvert at the 4:59 mark, F Boone Jenner (W Thomas Vanek and F Sonny Milano) gave the Jackets their third lead of the game 6:35 into the period. Obviously, that meant it was the Penguins’ turn to score next. That’s just what they did 2:58 into the third period, courtesy of D Kris Letang‘s (F Evgeni Malkin and Hornqvist) power play wrister. To the surprise of no one, the Jackets claimed their fourth lead of the night at the 8:25 mark when RW Cam Atkinson (Dubois and Panarin) scored a tip-in, but it lasted only 3:51 before W Conor Sheary (Kessel) scored the final goal of regulation to level the game at 4-4. Only one shot apiece was fired in overtime, but Kessel’s unassisted wrister 1:06 into that five minute frame proved to be all Pittsburgh needed. Following G Matt Murray‘s lone save in overtime, Kessel collected the loose puck and began streaking towards the other end of the ice. Once he reached the left face-off circle, he ripped his blistering wrister to the far post, beating G Sergei Bobrovsky bar down. Murray earned the victory after saving 26-of-30 shots faced (.867 save percentage), leaving the overtime loss to Bobrovsky, who saved 38-of-43 (.884). Even though the Penguins won on the road, the 101-54-22 home teams in the DtFR Game of the Day are still riding a four-game point streak. Due to that, they still have an impressive 49-point advantage on the series’ roadies. How about the defenseman getting some love, huh? In all honesty, this wasn’t even a case of picking him out for having a stellar week ‘as a defenseman’, he lead the entire league in scoring last week full-stop. The 6-foot-3 210 pound King City, Ont. native racked up three goals and six assists in four games this past week, including a goal and two helpers on the power play. He also averaged nearly 26 minutes of ice time per game in that stretch, remaining a key cog on the St. Louis blueline with his all-around strong play. Starting the week with a pair of assists against Anaheim on Monday, he had a forgettable outing against Colorado on Thursday with no points and a -3 rating. But after that he closed the week with a pair of stellar games, recording two goals (one on the power play) and an assist against the Rangers on Saturday, then followed up the next day with a four-point outing against Chicago, where he’d tally a goal and three assists, with two of the helpers coming on the man-advantage. Just one point shy of tying his career-high of 51 points after just 68 games played, and having already bested his previous goal-scoring mark (he’s now at 15, having posted a prior-best 14 last season), the 28 year-old looks set to be one of the NHL’s best defenders over the next few years. His Blues team may be in a bit of a reset right now after an up-and-down campaign, but with Pietrangelo as one of their key pieces moving forward, it’s easy to think they’ll be right back at the top of the league in very short order. Plus, it’s still not at all impossible for them to sneak into the playoffs if they can finish the season strong. I tell ya, that McElhinney, he’s a pretty good backup, ain’t he? There were more than a few terrific stretches by goaltenders this week, but I’m giving the nod to the guy you’d never expect to have a week like this. Plus, he’s a professional athlete that drives a, like, 15-year-old Volvo. He’s just the best. C-Mac made only two starts this week, but tallied three wins (because reasons), and posted a .955 save percentage and 1.57 GAA for the week. He started the week being brought in in relief of an injured Frederik Andersen on Wednesday night against Dallas (more on that game in a minute), playing just over 30 minutes and surrendering two goals on 15 shots. Not a great stat night, but he collected the W, anyway. Then, with Andersen out the rest of the week, McElhinney got the call the next night against Buffalo, turning aside 38-of-40, and again on Saturday against Montreal where he’d blank the Habs with a 33-save shutout. The 34-year-old career-journeyman goaltender now has a scarcely-believable 10-4-1 record this year with a 2.09 GAA and .935 save percentage. His style could be described as ‘Dominik Hasek, without the grace’, and there’s no real reason to suspect this season is any more than an anomaly in the career of a .908/2.87 goaltender, particularly one in his mid-30s, but you can’t help but root for a guy like McElhinney. Hmm, a Stars-Leafs game ended in a shootout with 11 total goals. Who could have seen that coming? 68 shots, 59 hits, a James van Riemsdyk hat trick, and a comeback home team victory, what’s not to love? Seriously, you’re still here? Why are you not watching the highlights and/or Steve Dangle’s LFR on the game? Get outta here! GO! As a member of a fanbase that once had a literal fan rally in support of essentially tactical-nuking our team’s front office, I’m fully behind the #MelnykOut movement. William Karlsson can’t stop scoring. Part of me believes this is yet another example of my team’s eternal curse of misusing a player and then trading him away to watch him become a star (read: Jakub Voracek), but the other part of me sees a .23 shooting percentage and can’t wait to watch everyone scream about how overpaid he is in a couple years when he’s putting up 15-25-40 seasons after the Knights sign him to a 100-year, eleventy-bazillion dollar contract. The NHL GM meetings are underway in Florida, so expect very little in the way of productive changes to rules, and expect very much in the way of surprisingly tan general managers. @jdettro and I touched the Stanley Cup last weekend, so don’t be surprised if it rusts now. Happy 70th birthday to Bobby Orr. I have nothing clever for this, just a birthday message. Get ready for a wild Tuesday of hockey! 11 games are on tonight’s schedule! The action finds its start at 7 p.m. tonight with four tilts (Pittsburgh at the New York Islanders [SN/TVAS], Columbus at the New York Rangers, Dallas at Washington and Edmonton at Carolina), followed half an hour later by three more (Florida at Ottawa [RDS], Philadelphia at Detroit [NBCSN] and Toronto at Tampa Bay). Los Angeles at Winnipeg is next up at 8 p.m., while Colorado at Chicago waits 30 minutes before dropping the puck. 10 p.m. marks the beginning of Vancouver at Vegas, leaving New Jersey at San Jose (NHLN/SN1) as tonight’s nightcap since it drops the puck at 10:30 p.m. All times Eastern. Pittsburgh at New York: It’s rivalry night in Brooklyn! Though the Isles’ playoff chances have been all but officially pronounced dead, there’s still fun to be had in playing spoiler. Philadelphia at Detroit: Tonight marks G Petr Mrazek‘s first return to the Motor City since being traded. With a 72-58-20 record over six seasons with the Wings, it remains to be seen how warm a welcome he’ll receive. However, the game I’m most intrigued by is taking place in the nation’s capital between two teams in desperate need of points for totally different reasons. To the District of Columbia we go! The 38-27-8 Stars are completing a six-game road trip tonight, and they’re still looking for their first victory since departing Big D March 9 after beating Anaheim. This 0-3-2 skid has resulted in Dallas giving up the first wild card position it possessed almost all season – as well as the second wild card position it got forced into – leaving it on the outside looking into the playoff picture as things currently stand. Defense is certainly not the reason for the Stars’ recent struggles. Led by D Stephen Johns and RW Brett Ritchie (both averaging four hits per game since March 11), C Radek Faksa (four takeaways in his last five showings) and D Greg Pateryn (2.2 blocks over this losing skid), Dallas has allowed only 27.6 shots against per game during this road trip – the fourth-lowest average in the NHL since March 11. Instead, I’ve been most disappointed with the play of 12-10-3 G Kari Lehtonen, who has started three and earned the result in four of Dallas’ last five games and will be seeing even more time in net considering the lower body injury to 26-17-5 G Ben Bishop against the Jets on Sunday. Though Lehtonen has been decent all season with a .913 save percentage (slightly behind Bishop’s .916) and 2.46 GAA (slightly better than the starter’s 2.49), his .87 save percentage and 3.67 GAA in these last four showings has been anything but inspiring. After pairing the efforts of Lehtonen and his defense, the Stars have allowed a whopping 3.8 goals per game since March 11, the seventh-highest average in the league in that time. Of course, he hasn’t gotten much help from his offense either. With the exception of BFFs LW Jamie Benn (3-3-6 totals since March 11) and F Tyler Seguin (2-3-5 over this run) on the top line, Head Coach Ken Hitchcock has struggled to find any consistent attack out of his team, as it has averaged only 2.4 goals per game during this road trip – (t)eighth-worst in the NHL since March 11. In other words, Lehtonen is setting games up so that the offense has to summit Mount Everest on a nightly basis, and they’re only making it 18 thousand feet up – well short of the 29 thousand foot summit. Unfortunately for Dallas, the 41-24-7 Capitals’ offense has been gelling lately, which is a major reason that they have posted a 4-1-0 record over their last five showings. With a team that’s averaging 4.2 goals per game over its last five showings (the [t]third-best mark in the league since March 10), it’s no surprise there’s more than a few Capitals averaging at least a point per game over this run. In total, six players – five of which are healthy (F Evgeny Kuznetsov missed the last game with an injury to his left arm and is not likely to dress this evening) – are averaging a point per game since March 10, but none have been as impressive as C Nicklas Backstrom. The Swedish center has been dominant lately, made evident by his 3-5-8 totals in his last five showings to average 1.6 points per game. Having spent almost the entire season on the second line, the 30-year-old continues to be one of the most underrated play-makers in the game, as four of his five most recent assists have been secondary even-strength apples. Surprisingly, his promotion to the top line against Philadelphia on Sunday to rejoin W Alex Ovechkin did not see the instantaneous success many expected. Predictions were that Backstrom would resume setting Ovechkin up for multiple scoring chances just like in seasons past, but the only play they converted together was helpers on a D John Carlson third period marker. Of course, that’s not to say Backstrom and Ovechkin have no chemistry at all, it’s just that their time playing together this season has been limited to the power play. Of Backstrom’s last eight points, three have occurred with the man-advantage, including providing the secondary assist on Ovechkin’s second goal of the game against Winnipeg. Perhaps tonight, after a bit more practice to rediscover each other’s grooves during five-on-five play, they can light up the scoreboard like they want to. Joining Backstrom in averaging a point per game since March 10 include Kuznetsov (1-6-7), Ovechkin (3-3-6), Carlson (2-4-6), D Dmitry Orlov (1-4-5) and RW Alex Chiasson (1-2-3 in two games played). With only a two-point advantage on Pittsburgh for the Metropolitan Division crown, every point the Capitals can earn over their last 10 games is priceless. Fortunately for the Caps, Pittsburgh has played just as many games as them and Washington has what seems to be a weaker schedule to close out the season with only three tilts against current playoff teams to the Pens’ five. Playing in the same division as Presidents’ Trophy-leading Nashville, division titles are the furthest things from the Stars’ minds. Instead, they need to buckle down and win some games to stay within reach of Anaheim, which leads Dallas by two points, for the second wild card. If the past is any indicator, the Capitals have a slight upper hand in this game given their performance at American Airlines Center on December 19. After both teams scored a goal apiece in all three periods to force overtime, W Andre Burakovsky took First Star honors by scoring the final goal in a 4-3 Washington win, his second tally and third point of the night. The Caps’ attack is not going to think twice about taking advantage of Lehtonen’s recent struggles. Expect Washington to come away with at least a three-goal victory. There was a little bit of everything in yesterday’s DtFR Game of the Day, as the Los Angeles Kings beat the Minnesota Wild 4-3 in overtime at Xcel Energy Center. The first period almost ended with the same score it started with, but LW Tanner Pearson (W Dustin Brown and First Star of the Game D Drew Doughty) apparently wasn’t interested in that. He buried a snap shot with 1:13 remaining in the frame to give Los Angeles a 1-0 lead. After trailing in this game for 20:17, Minnesota finally earned its first lead with 2:31 remaining in regulation when C Joel Eriksson Ek (W Jason Zucker and F Charlie Coyle) scored a wrister to set the score at 3-2. With the Kings backs against the wall and in desperate need of points, Head Coach John Stevens was forced to pull Quick with 1:37 remaining on the clock. Los Angeles did not waste its extra attacker, as Brown (Doughty and C Anze Kopitar) buried a tip-in with 47 seconds remaining in regulation to tie the game at 3-3. Just like the theme had been for most of the night, the game-winning delayed until the waning minutes of overtime before showing itself. With only 34 separating this tilt from the dreaded shootout, F Adrian Kempe collected a clear by Quick from behind his net and drove the length of the ice until he was right on G Devan Dubnyk‘s doorstep. However, instead of attempting a shot from such close range, he slid a pass backwards through the slot to a trailing Carter, who ripped a wrister top shelf over Dubnyk’s right shoulder to win the game for the Kings. Quick earned the victory after saving 24-of-27 shots faced (.889 save percentage), leaving the overtime loss to Dubnyk, who saved 26-of-30 (.867). Road teams in the DtFR Game of the Day series have saved their best for the end of the season, as tonight’s victory gave them points in nine of the last 10 games. As such, the 88-52-20 hosts in the series now have only a 33-point advantage over the visitors. We’re reaching the midway point of March, meaning there’s only a few weeks separating us from playoff hockey! It’s time to get excited, fans! Arenas start coming to life at 7 p.m. this evening with Dallas at Toronto (SN/TVAS), followed an hour later by Pittsburgh at the New York Rangers (NBCSN). San Jose at Edmonton (SN1) drops the puck at 9:30 p.m., while tonight’s co-nightcaps – New Jersey at Vegas and Vancouver at Anaheim – wait half an hour before wrapping up the night’s events. All times Eastern. When the schedule was released before this season, I was most excited for the action in Alberta this evening since it was a rematch of a Western Quarterfinal matchup from a year ago. However, the game that must attract our attention is the other tilt taking place in Canada tonight. The past two weeks have not been a stellar run for the 40-22-7 Maple Leafs, as they’ve posted a lowly 1-2-2 record over their past five games after rattling off a four-game winning streak. For me, what has been really disappointing about Toronto – both lately and, really, for the entire season as a whole – has been its performance on the defensive end. Over their last five games, the Leafs have allowed 34.2 shots against per game, the ninth-most in the NHL since February 26. F Leo Komarov (3.6 hits per game since February 26), F William Nylander (eight takeaways in his past five games) and D Nikita Zaitsev (1.8 blocks per game in his last four showings [he missed Saturday’s home game against the Penguins with the flu]) have stood out lately, but the Maple Leafs just don’t seem to be getting consistent production in their own zone from the entire roster. However, that is just a microcosm of Toronto’s season as a whole. In terms of shots against, the Leafs have been the fourth-worst team in the NHL having yielded 34 pucks per game. As Head Coach Mike Babcock’s side is quickly learning, Komarov (three hits per game for the season), F Mitch Marner (team-leading 66 takeaways in 69 games played) and Zaitsev (2.5 blocks per game all season) cannot carry this club on their own defensively. What makes this current defensive play all the more glaring is the recent struggles of 33-18-5 G Frederik Andersen. Having managed a .919 save percentage and 2.76 GAA for the entire season, those numbers have dropped to an .885 save percentage and 4.21 GAA in his past four starts. This is not an attack on Andersen, because his decline in play has to be related to the pure exhaustion of facing over 1900 shots this year. In fact, it’s almost entirely because of him that Toronto has allowed only 2.83 goals all season, the (t)12th-best mark in the NHL. Fortunately, he’s played only two games in the past 10 days and is coming off a 5-2 win in his past outing, so he should be well rested entering tonight’s affair. Speaking of teams currently in playoff position not playing necessarily well right now, Toronto is hosting the 38-26-6 Stars this evening, a club that has posted only a 1-3-1 record in its last five games. While Toronto has struggled on the defensive end lately, all of the Stars’ issues have occurred when they have the puck on their own sticks. Dallas has averaged only 1.4 goals per game since March 5, a mark that is tied with Vancouver for worst in the league in that time. However, that’s not to say none of the Stars are finding success. In fact, with 2-3-5 totals during this run, F Tyler Seguin has managed to average a point per game since March 5 to elevate his season totals to 36-29-65, far and away the best marks on the club. Unfortunately, it’s the rest of the team that is putting Seguin at risk of delaying his sixth playoff appearance by at least a season. Besides the three-point efforts of stellar linemates (at least as of puck drop last night) LW Jamie Benn and RW Alexander Radulov (with 2-1-3 and 1-2-3 totals, respectively), no Stars have registered more than two points over this five-game stretch. One source of offensive production that has fallen quiet lately is D John Klingberg. Having posted 7-50-57 totals for the season, he’s managed only two assists in his past six showings. Whether he focuses on creating plays for the Benn-Seguin-Radulov super line or increasing the potency of the other three trios, he’ll be a big key in getting this Stars team back on track. I have a hard time believing a team in any sport has nothing to play for when it steps onto its playing surface, but the Leafs have literally nothing to play for as far as the standings are concerned. Toronto trails second-place Boston by nine points, and the Bruins will have two games in hand after tonight’s events. Even if the Maple Leafs win out starting tonight, the Bruins would need only 18 points (nine victories) in their remaining 14 games to hold on to home ice in the first round of the playoffs. I just don’t see Boston dropping that many games in regulation, especially since it can still grasp the Eastern Conference’s top seed. Yeah, that’s not happening either. Florida is in fourth place in the Atlantic, and it trails the Leafs by a dozen points. Even with the Panthers’ two games in hand – which will increase to three following tonight’s tilt – the bottom is going to need to drop out on Toronto for it to become a wild card. Instead, this game – and every other one until the end of the regular season – is effectively a live practice situation. The Maple Leafs should take these opportunities to get healthy, work out any kinks in their game and prepare for the return of C Auston Matthews and the postseason. The same cannot be said for the Stars, as this is a very important game for them. After losing last night in Montréal in regulation, Dallas has fallen behind Colorado and is currently the Western Conference’s second wild card. Mix in the fact that three teams trail the Stars by a maximum of only three points, and Dallas is in desperate need of a victory tonight. When the Leafs made their annual trip to Dallas on January 25, 7-4-1 G Curtis McElhinney stole headlines with his dazzling 39-save performance. Pairing that with a two-goal performance by C Nazem Kadri, Toronto earned two points with a 4-1 victory. There’s been a few games this season where I’ve felt so confident in a prediction that I’d consider betting the house. Today is one of those times. Dallas’ offense is anemic right now, and it is coming off a miserable 4-2 performance against a bad Canadiens team last night. Mix in the fact that the Stars have a lowly 14-16-3 record on the road, and this has the clear appearance of a Toronto victory. Perhaps unsurprisingly, the Colorado Avalanche earned a 5-1 victory over the Minnesota Wild in yesterday’s DtFR Game of the Day at Xcel Energy Center. Only one goal was struck in the first period, and it’s probably no secret which club it belonged to. With 3:38 remaining in the frame, Second Star of the Game F J.T. Compher (D David Warsofsky) buried a wrist shot to give the Avs a 1-0 advantage. The second period was a far more evenly-matched affair, as both sides came away with a marker. The first belonged to Third Star C Mikko Koivu (F Charlie Coyle) and the Wild, as he registered a wrister with 6:04 remaining in the period to level the game at 1-1. However, that scoreline lasted only 59 seconds before D Nikita Zadorov (W Blake Comeau) provided what proved to be Colorado’s game-winning goal. Playing under four-on-four conditions due to LW Gabriel Landeskog and D Nate Prosser taking matching roughing penalties 25 seconds before Koivu’s marker, excellent forechecking by the Avalanche created this goal. Comeau initially advanced play into his offensive zone, but a sloppy pass to F Carl Soderberg resulted in F Mikael Granlund possessing the puck in the corner to G Devan Dubnyk‘s right. However, Colorado wasn’t ready to give up on the play yet, as Soderberg engaged the Finn to dislodge possession and allow Comeau a second chance at glory. He didn’t miss, as he centered a pass to Zadorov that was one-timed past Dubnyk’s glove, off the right post and into the net. The pattern of scoring the same quantity of goals as the period’s number reached its trifecta in the final frame, as Colorado laid it on Minnesota with three markers. Having been held off the scorecard so far, F Nathan MacKinnon (D Patrik Nemeth) scored a wrister only 11 seconds into the period to give Colorado a two-goal advantage. He was followed by Compher (D Samuel Girard and W Sven Andrighetto) and F Tyson Jost (D Tyson Barrie and RW Mikko Rantanen) later in the frame, both with power play goals to set the 5-1 final score. First Star G Semyon Varlamov earned the victory after saving 33-of-34 shots faced (.971 save percentage), leaving the loss to Dubnyk, who saved 17-of-22 (.773). Though they would have obviously preferred to earn two points last night, the Wild are probably the happiest of the two teams coming out of this game because they know they won’t see the Avalanche again this regular season. In four meetings, Colorado dropped only one point to dominate Minnesota all year. Things have been looking up for road teams in the DtFR Game of the Day series lately. Colorado’s victory was the fourth consecutive by a visitor in the series, meaning the 86-49-19 hosts’ lead has been trimmed to 37 points (Yes, those numbers don’t line up with yesterday’s. I discovered some clerical errors that have now been resolved.). With as many games as are on a Saturday schedule, there’s always a possibility of something special happening. Let’s just see if one of the 13 games on today’s slate can fit the bill. There’s two matinees on tap today (Anaheim at Montréal [RDS/TSN2] and Ottawa at Philadelphia [NHLN/RDS2]), both of which drop the puck at 1 p.m. The NHL kicks into high gear at 7 p.m. with a half-dozen tilts (Colorado at Winnipeg [SN], Toronto at Boston [CBC/CITY/NHLN/TVAS], St. Louis at Buffalo, Detroit at Florida, Pittsburgh at New Jersey and Columbus at the New York Islanders), followed by two more (the New York Rangers at Nashville and Minnesota at Dallas) an hour later. Next up is the 10 p.m. time slot, which features another pair of matchups (Tampa Bay at Vancouver [CBC] and Chicago at Calgary [SN]), while Arizona at Los Angeles waits half an hour before closing the evening out. All times Eastern. Toronto at Boston: Not only is it an Original Six matchup, but the Leafs are only three points back of the Bruins for second in the Atlantic Division. New York at Nashville: W Cody McLeod was traded to the Predators and they made a run to the Stanley Cup Finals. Does that mean the Rangers are going to the Finals this year? Of those listed, the Toronto-Boston game is obviously the most enticing, but we just featured the Bruins two days ago. Instead, I think we turn our attention to an important Central Division battle. In a wild turn of events, 28-18-5 Minnesota started play yesterday on the outside of the playoff picture looking in. Beating Vegas 5-2 propelled the Wild past Colorado into the second wild card, but Minnesota can continue its climb tonight with a victory against the 29-19-4 Stars. Let’s start with the Wild, who have been screaming up the standings lately by going 6-1-2 over their past nine games. As you might be able to tell by that recent run, everything seems to be going right in the Land of 10,000 Lakes, as the Wild are (t)fifth in both goals-for (3.11 per game) and goals-against (2.33 per game) since January 9. With players like F Mikael Granlund and C Eric Staal on the same team, magic can happen any given night. Fortunately for Minnesota, that magic has been in abundance over the last nine games, as they’ve respectively posted 4-6-10 and 3-6-9 totals to average at least a point-per-game over this run to elevate their respective season marks to 15-25-40 and 22-24-46. If there’s any problem with Granlund and Staal, it’s that there’s not six of them apiece. That’s not a knock on the rest of the Wild as much as it’s a compliment to the superb streak those two players are currently riding. However that should be taken, it is of note that – even during this run of success – Minnesota gives up more than its fair share of shots against (30.67 per game since January 9, to be exact – the 14th-best in the league in that time). That’s where 20-10-3 G Devan Dubnyk comes into play, who’s posted a .921 save percentage and 2.26 GAA in his last seven starts. Both of those numbers are superior to his .917 and 2.63 marks on the season and are a testament to how well he’s been playing of late, and he’ll need to be on top of his game once again this evening against one of the better attacks in the NHL (more on that in a moment). Dunyk’s three shutouts are the (t)seventh-most in the NHL this season, but I wouldn’t bet on him adding another this evening. Not only is Dallas’ offense one of the better corps in the league (again, we’ll get there in a second), but he was also in net for yesterday’s 5-2 victory against the Golden Knights. Though I would usually err on the side of caution on back-to-back games when it comes to netminders, I still expect him to start over 8-8-2 G Alex Stalock. As for Dallas, the current fourth-best team in the Central Division and first wild card, everything has been going right over the past 18 days, as it is ranked third in goals-per-game (3.25), goals against-per-game (1.88) and shots against-per-game (27.88) since January 15. As might be expected with one of the most complete performances in the league in that time frame, the Stars have posted a solid 5-2-1 record in those eight games. If you prescribe to my opinions on how the game should be played, I think we’ll agree that this almost unbelievable success is a direct result of nearly unbeatable puck possession in the offensive zone, which in and of itself yields goals. Since I have yet to find a source that consistently tracks zone time, let’s go off the assumption that the team that spends more time in the offensive zone should fire more shots than the defending team. That seems like sound logic, right? If that’s the case, the Stars have out-shot their last eight opponents 258-223 – a rate that approximately works out to 15 Stars shots for every 13 they’ve allowed during this run. That doesn’t seem like much of an advantage, but it equals 35 more shots for Dallas than it has allowed, which breaks down into a differential of 4.375 per game. Does your head hurt yet? Then let’s talk about what’s ultimately matters: the scoreboard. As mentioned before, the Stars are averaging 3.25 goals per game since January 15. That’s a lot of scoring, and RW Alexander Radulov and D John Klingberg have been responsible for much of it. Respectively posting 4-5-9 and 0-9-9 totals over these last eight games, they’ve increased their respective season marks to 20-28-48 and 6-43-49 – the two highest point totals in Big D.
What makes both of them averaging more than a point-per-game over this run most impressive is the fact that they’ve joined together on one scoring play only once since January 15. That means these two players have had a hand in creating or scoring 17 of the Stars’ last 26 individual goals – more than 65 percent. Talk about presence creating presents. Of course, talking exclusively about Klingberg (who’s 43 assists lead all defensemen and ranks [t]second among all skaters) and Radulov totally ignores the fact that F Tyler Seguin also wears victory green. Seguin has been nearly unstoppable all season, as his 24 goals are (t)eighth-most in the NHL. Dominating the offensive zone also has the luxury of creating a safe defensive end. After all, the opposition can’t challenge 8-5-1 G Kari Lehtonen if it doesn’t have the puck! You’ll notice I brought up Lehtonen and not 21-14-3 G Ben Bishop. That’s because Bishop will be unavailable this evening due to taking a puck to the face Thursday night while sitting on the bench. Considering Lehtonen’s .915 season save percentage is a little bit lower than Bishop’s .917, Dallas’ skaters limiting Minnesota’s opportunities will be of the utmost importance if the Stars want to keep the Wild below them in the table. Tonight’s game is only the second meeting between these division rivals this season. The first occurred December 27 at Xcel Energy Center, and the Wild came away with a 4-2 victory thanks to D Jared Spurgeon‘s one-goal, four-block game that earned him First Star honors. Bishop being out this evening is a major blow to the Stars. Even though Lehtonen is riding a three-game winning streak, I just don’t see him being able to slow down a Minnesota offense that has found a nice groove. The Pittsburgh Penguins beat the Washington Capitals 7-4 yesterday at PPG Paints Arena in an expected barn burner of a DtFR Game of the Day. Don’t mistake the final score for Pittsburgh dominating the entire game. While it is true the Pens didn’t trail in this game, it was in fact a very competitive matchup, as the clubs were tied 3-3 entering the third period. The first period ended in favor of Pittsburgh, as Second Star of the Game RW Phil Kessel (C Riley Sheahan and F Jake Guentzel) buried a wrist shot 2:11 into the frame, followed 13:39 later by an unassisted LW Carl Hagelin wrister. However, it wasn’t just the Penguins that found success in the frame, as Third Star W Alex Ovechkin (D Christian Djoos) sneaked a wrister between the pipes with 1:50 remaining in the period to pull the Caps within a 2-1 deficit. If my imagination is correct, Kessel stood in the middle of the dressing room during the first intermission and challenged his teammates to score faster than him in the second period. RW Patric Hornqvist (C Sidney Crosby and First Star F Evgeni Malkin) heeded that call, as he scored his power play snap shot only 26 seconds after the initial puck drop. However, that was the only goal the Pens struck in the middle frame, as D Dmitry Orlov (C Lars Eller and D Matt Niskanen) scored a slap shot only 2:42 later to pull Washington back within a goal. F Evgeny Kuznetsov completed the comeback with 8:03 remaining in the second period, setting the score at 3-3 on a wrister. Two exciting periods set the table for a thrilling third, and it certainly didn’t disappoint. Things started quickly, as Malkin (Kessel and D Olli Maatta) returned the lead to the Pens only 1:01 into the frame, but an Ovechkin (Kuznetsov and Orlov) snapper pulled Washington right back into a 4-4 tie only 49 seconds later. The Capitals’ decline began when C Nicklas Backstrom was sent to the penalty box at the 4:40 mark for hi-sticking W Bryan Rust. As luck would have it, Rust (D Kris Letang and Sheahan) would be the one to take advantage of the man-advantage, cleaning up a saved Letang wrister by tapping the loose puck past G Braden Holtby‘s left skate only 32 seconds before Backstrom was to be released from the sin bin. At the 7:59 mark, the Penguins added their first insurance goal courtesy of a Kessel (Malkin and Hagelin) snapper. 2:01 later, Malkin (Crosby and Guentzel) made use of the man-advantage caused by D Madison Bowey tripping F Dominik Simon to score the final goal of the game, a power play tip-in, to set the 7-4 final score. G Matthew Murray earned the victory after saving 29-of-33 shots faced (.879 save percentage), leaving the loss to Holtby, who saved 27-of-33 (.818). After Kessel’s insurance goal, Holtby was lifted in favor of G Philipp Grubauer for the final 12:01 of play. The backup saved five-of-six (.833) for no decision. Home teams are standing their ground in the DtFR Game of the Day series of late, as they’ve won the last three matchups. As a result, they’ve improved their record in the series to 63-37-15, which is 23 points better than the visitors’. Hey, why isn’t (insert NHL team here) playing? The NHL is in Year 2 of its experiment with bye weeks. Some things – like the average length of each team’s break – stayed the same. 19 of the 31 clubs are taking the minimum five days off, while 11 others get an extra sixth before returning to action. Of course, the winners of the bye week lottery are the Ottawa Senators, who get a whopping seven days to rest, regroup and rediscover the art of ice hockey before hosting St. Louis. But there are a few differences from last year, most notably where these breaks occur within the league schedule. Last season when the bye weeks debuted, the Islanders and Penguins had already started and finished their breaks by now, while others wouldn’t see the gap in their schedule until well beyond the All-Star Break or even the trade deadline. In fact, the Ducks didn’t take their week off until the beginning of March. It was probably because Anaheim is on Pacific Time. That’s how time zones work, right? Anyways, all 31 bye weeks this season – whether five, six or seven days – will start and end in the span of the 18 days between today and January 19. Though initial thoughts were that the bye weeks were consolidated in anticipation of the NHL potentially releasing its players to their respective national federations for the XXIII Winter Olympic Games in PyeongChang, South Korea, it instead will simply be an opportunity for the league’s scheduler to determine which format is better for business. But we’re not worried about attendance, advertising dollars or TV ratings here at Down the Frozen River (actually, that’s a lie: we love to talk about that stuff during podcasts). Let’s talk about who’s going to be off when. Teams are presented in order of the league table as it stands entering play January 7, and you might find some notes from myself and @nlanciani53. Nick’s Notes: A hot team must cool off a bit and then play the Vegas Golden Knights on their first night back to action? Talk about a prison sentence. At least they’ve still got the Presidents’ Trophy (lead) as consolation. Nick’s Notes: Son, where the Golden Knights are from, they don’t need no breaks. Polar opposites of the Tampa Bay Lightning bye week, Vegas plays a good team before taking time off. Then they play Edmonton. Next! Connor’s Notes: That may be true, but there’s surely some concern among Gerard Gallant and his staff that the Knights just might lose some of this positive energy over the break. They’ve posted a 9-1-0 record over their last 10, and it’d be a shame if the only reason this club drops from Cloud 9 to Cloud 8 is just five little days off. Nick’s Notes: The Winnipeg Jets are vying for first place in the Central Division this season after missing the playoffs last year. Their second best point-scorer (that’s right, point-scorer, not goal-scorer, Patrik Laine), Mark Scheifele‘s been nursing an upper body injury and this break won’t hurt the team for a week while he remains out of the lineup. Nick’s Notes: Most people think the party never stops in Vegas, but they’re wrong. The party never stops in Smashville and let’s just hope none of the Predators players get carried away on Broadway in their week off. Connor’s Notes: Any way to avoid playing games while Jaden Schwartz‘ ankle is still healing is a good thing. While he won’t be ready to go until the end of the month, the Blues will hope to get out of a rut that has led to them posting a 4-6-0 record over their last 10 games entering Sunday. Nick’s Notes: It’s not that Braden Holtby‘s been bad, but he’s having his worst season since 2013-14, so like, maybe send him to a remote mountain top or whatever it takes for Holtby to regain his form and focus (a water bottle usually does the trick). Seriously though, his 2.68 GAA and .917 save percentage is not great, Bob. Nick’s Notes: Best of luck to the Los Angeles Kings who will smash bodies against the boards with Nashville leading into their bye week and then smash bodies all over again with the Anaheim Ducks fresh off their vacations. It’s a grueling game. Ice those bruises. Connor’s Notes: Similar to Vegas’ current run of success, with an 8-0-2 record over their last 10 games played entering Sunday, the Bruins arguably have the most positive energy to lose by going on break of any team in the Eastern Conference. Fortunately for them, they’ll play in what I expect to be a rivalry game that’s even more heated than usual given the Habs’ position in the standings to get right back into the swing of things. Connor’s Notes: While the Leafs aren’t currently certain he’ll be ready to go by then, the original hope was that sophomore defenseman Nikita Zaitsev‘s lower-body injury would be healed by the time Toronto returned to action against the Notes. If St. Louis’ offense is ticking that day, his presence in the defensive zone will be a big help to Frederik Andersen. Nick’s Notes: The New Jersey Devils have been quietly good as of late. They’re this year’s biggest surprise outside of the Golden Knights. Nico Hischier just turned 19, so unless he’s going outside of the United States for his break, he can’t (legally) party hard. Nick’s Notes: Wouldn’t it be mean if nobody tells Kari Lehtonen when the break is so he just drives up to the practice rink on the first day like “where’d everybody go”? Just a thought. Nick’s Notes: Great, another week off means Henrik Lundqvist has to wait even longer for a Stanley Cup. Nick’s Notes: The Columbus Blue Jackets have been the St. Louis Blues of the Eastern Conference this season. One week they’re amazing, the next week they’re losing. A lot. Connor’s Notes: Nick is right, and the Jackets are in one of their losing funks right now. Entering Sunday, they’ve posted a 3-5-2 record over their last 10 games played. They won’t regain any of their four injured players during the break, but perhaps John Tortorella can find a way to regroup his troops before they lose any more ground in the Metro. Nick’s Notes: Joe Thornton should use this break to regrow that part of his beard that got torn off his face by Nazem Kadri in Toronto. Connor’s Notes: Goaltender Semyon Varlamov should be prepared to return to action following the bye week after suffering a lower body injury on January 2, and there’s a possibility J.T. Compher get back into the lineup too. However, considering the Avs’ unbelievable position in the standings, does Jared Bednar even think about pulling Jonathan Bernier? Nick’s Notes: Oft-injured and finally healthy, the Minnesota Wild should place everyone in bubblewrap for their bye week. Just a suggestion. Connor’s Notes: With Corey Perry returning to action last night against the Flames, Anaheim is effectively at 100 percent once again after losing basically every star at one point or another this season. After seeing what an injured Ducks team was capable of, the Pacific Division should get ready, because a rested and healthy Ducks team just might wreck havoc against weak competition. Nick’s Notes: One thing’s for sure, even with their potential new majority owner, none of the Carolina Hurricanes players are going back to Hartford for their break. What a shame. Nick’s Notes: Phil Kessel doesn’t like time off (remember the 2016 World Cup of Hockey?) and Matthew Murray should probably go to the same place as Braden Holtby for a week. Murray’s goals-against average is almost a 3.0. Nick’s Notes: Jeff Glass is the feel good story of 2018 so far, so why would anyone want to see him take five nights off? *Checks standings* Oh, right, this team isn’t in playoff worthy right now. Nick’s Notes: Someone make sure the Philadelphia Flyers don’t try to move to the Atlantic Division over their bye week. They’ll do anything to make the playoffs this season. Connor’s Notes: The reason the Islanders have been making by with their horrendous defense, which was made worse by Calvin de Haan requiring a season-ending shoulder surgery, has been their explosive offense. Josh Bailey should be back at 100 percent following New York’s bye to reunite the BLT Line, allowing the Isles to get back to their version of Russian Roulette: finding out which goaltender is going to allow just one more goal than the other. Nick’s Notes: If the Detroit Red Wings were a young, rebuilding, team I’d recommend a five-day long pizza party at The Pizza Box (Little Caesar’s Arena). Maybe they can figure out the right way to tank during their time off instead of winning a lot before the break. Connor’s Notes: Just as James Reimer is beginning to run out of steam, Roberto Luongo is expected to return to the Panthers’ crease with his club seven points outside playoff position. Whether he resumes his starting job before or after the bye, the break allows both of them to be fully rested. Nick’s Notes: Peter Chiarelli can’t possibly figure out how he’s going to save his team in six days when he spent $21 million on Connor McDavid and Leon Draisaitl in about that amount of time over the summer. Nick’s Notes: Like Mark Scheifele and the Winnipeg Jets, Bo Horvat and the Vancouver Canucks haven’t seen each other in a little while due to injury. Take some time and rest up. Nick’s Notes: I’m pretty sure you can’t trade players during your bye week, so don’t try to move Max Pacioretty while nobody’s paying attention, Montreal. Nick’s Notes: The Ottawa Senators will find a way to lose games over their seven day break. Meanwhile, Eugene Melnyk will have just enough time to figure out an escape plan while nobody’s at Canadian Tire Centre. Nick’s Notes: The Sabres should hold an exhibition matchup with some bantam teams while on their break. You know, so they can get better. Nick’s Notes: Wait, you mean Arizona hasn’t already been taking time off all season? Final notes: I strongly dislike how the NHL is abandoning entire markets for a week at a time. This is most noticeable in the United States’ two biggest cities: New York and Los Angeles. All five teams that play in those markets will be dormant for the same five days (January 8-12). Why didn’t they stagger these byes so those important markets would still have at least one squad active at all times? After all, if there’s one thing Devils fans love to see as much as a Jersey win, it’s a Rangers loss. Whether they take in that loss at Madison Square Garden or from their couch doesn’t ultimately matter. The fact that those markets could turn their attention away from the NHL to either the Clippers, Knicks or Friends reruns on TBS does. But this extends further. The entire Commonwealth of Pennsylvania will be shut off from NHL hockey from January 8-12 (The same days as New York and Los Angeles? Who is making these decisions? ), as neither the Flyers nor Penguins will be in action. Boston and Montréal? Nope, they’re both on the bye at the same time too (you guessed it, January 8-12). The Blues and Predators can vacation together as well – though I doubt they’d want to – as they are both out of action from January 10-15. I’m sure the league’s competition committee is going to claim that they’re trying to reduce the possibility of one particular team getting too much of an advantage, but this just seems silly from a business perspective. If that is truly the case, perhaps one day when the league reaches 32 teams it will simply shut down an entire conference for five days and then the other (the odd number of teams right now makes scheduling a little… interesting in that scenario), or – the more likely of these two options – perchance expand the distribution of byes over the course of three weeks instead of just two. Who knows? Beyond this issue, while I don’t necessarily like where it is in the schedule, I do like that the NHL has condensed the time period for bye weeks in the season. Keeping track of which teams had and hadn’t taken their week off last season was a bother, and this system eliminates that. Of course, we’ll know how NBC and Sportsnet react based on how these byes are arranged next year. As for my final complaint, the byes have the possibility of creating a very staggered January. We just got out of the three-day holiday break 12 days ago. Each team has played an average of only 5.4 games since then. Now we have these bye weeks of at least five days, and the four-day All-Star Break (January 26-29) is only 20 days out. If those sentences were confusing, I’m concerned that’s how the month of January is going to feel – scattered hockey thoughts until Groundhog’s Day. The NHL Players’ Association demanded these bye weeks in return for the league turning the All-Star Game into the divisional three-on-three format we have had for the past two years. They’re not going anywhere: the players obviously like the idea of getting some time off, and putting it near the midway point of the season seems like a logical idea. However, how this change is impacting the league’s product is still being understood. Unless we could see a plausible situation where bye weeks don’t happen until the end of February or March (remember, that’s likely after the trade deadline), the existence of the midway-point byes could be yet another reason the NHL could axe the All-Star Game, eliminating that break altogether. Throw in the fact that the NHL’s collective bargaining agreement could expire as soon as 2020’s offseason – should either party opt out early – and no later than the summer of 2022 and we could be looking at a whole heap of changes – or a whole heap of no hockey – within the next four years. It’s the last games of 2017! Everybody panic! For those intending to cram as much hockey as they can into their remaining time this year, the NHL has you covered with eight games being played throughout the day. The action begins at 3:30 p.m. when Toronto visits Vegas (SN/TVAS), followed half an hour later by Arizona at Anaheim. The final matinee of the day involves Tampa Bay at Columbus at 6 p.m., while a pair of contests (Winnipeg at Edmonton [SN] and Pittsburgh at Detroit) will drop the puck at the usual 7 p.m. starting time. Two more games (the New York Islanders at Colorado and San Jose at Dallas) get underway at 8 p.m., and tonight’s nightcap – Chicago at Calgary (SN360) – cleans up the year’s matchups at 9 p.m. All times Eastern. As you might expect, there’s a few of those games that have stuck out to me for quite a while. Winnipeg at Edmonton: The return of a rivalry of days gone by should be even better tonight since these clubs just met up last week. Pittsburgh at Detroit: The rivalry of the late 2000s is renewed and C Riley Sheahan makes his first return to Motown after spending the first seven years of his career there. Chicago at Calgary: Southern Albertans welcome back F Lance Bouma this evening, who played his first six seasons with the Flames. However, no matter how fun those games might be, I’m not comfortable with them being the final we feature in the year 2017. Instead, I want to make a trip to Texas for what could prove to be a very important game come April. For those questioning my claim to the potential importance of this game, allow me to explain. While the 20-11-4 Sharks are currently holding on to third place in the Pacific Division, it is increasingly looking like C Ryan Getzlaf‘s return to the Ducks is enough to pull the team together. If we follow that strain of thought far enough, I’m led to believe Anaheim can surpass San Jose for the final division qualifier. If that happens, it puts the Sharks in contention with the 21-15-3 Stars for the two wild card positions. If we continue to play out this hypothetical situation, the fact that this is the lone matchup between these clubs in Dallas means the result of this contest could be a potential tiebreaker if the Sharks and Stars end the season with the same point total. Of the two, the Sharks certainly enter tonight’s matchup on a better hot streak. They’ve won their last three games and have a 6-2-2 record over their last 10. What has really stuck out over this three-game winning streak is the Sharks’ dominance on the power play. Since December 21, San Jose has converted 38.5 percent of its man-advantages, far and away the best effort in the league in that time. This success is entirely due to the dominance by the Sharks’ top unit, which consists of D Brent Burns, F Tomas Hertl, RW Kevin Labanc, F Joe Pavelski and C Joe Thornton. All five have earned at least two power play points, and both Hertl and Thornton have scored two power play goals. Meanwhile, Dallas has earned points in seven of its last nine games, including victories over the Blues, Islanders, Predators and Rangers – all current playoff teams. What makes this game fun is the Stars have also found their success of late on the power play, as their 22.2 percent conversion rate since December 11 is (t)seventh-best in the NHL. Similar to San Jose, it’s been the Stars’ top power play unit that provided most of the firepower. That unit, which consists of LW Jamie Benn, F Mattias Janmark, D John Klingberg, RW Brett Ritchie and F Tyler Seguin, has scored four of Dallas’ last six power play goals. Klingberg and Seguin in particular have been noteworthy, as they both have four power play points in their last nine games played, and half of Seguin’s have been goals. In a game featuring two red-hot power plays, this contest is going to boil down to which penalty kill can provide more stops. If that proves to be the case, the Sharks are a lock for two points, because their 86 percent kill rate on the season is second-best in the league. The Washington Capitals took it to the New Jersey Devils in yesterday’s DtFR Game of the Day, as they beat them 5-2 at Capital One Arena. Washington wasted no time in taking a lead in this contest, as RW Tom Wilson (Second Star of the Game D Christian Djoos and First Star D John Carlson) scored a snap shot only 2:26 into the contest. That advantage doubled to 2-0 8:43 later courtesy of a Djoos (C Nicklas Backstrom and Third Star W Alex Ovechkin) wrist shot. The period didn’t totally belong to the Caps though, as D John Moore (C Travis Zajac and F Marcus Johansson) was able to bury a snapper with 2:25 remaining in the frame to pull Jersey back within a tally. The goal that proved to be the game-winner was struck at the 7:01 mark of the second period by Carlson (Backstrom and Ovechkin). With C Pavel Zacha in the penalty box for holding Djoos at the 5:34 mark, the Capitals went to work on their first power play opportunity of the night. With half a minute remaining before he was released, Backstrom centered a pass to Carlson from behind G Cory Schneider‘s cage. The blueliner took the pass above the right face-off circle and fired a screaming slap shot into the back of the net. But the Capitals weren’t done yet. 4:25 into the third period, they set the score at 4-1 on a D Matt Niskanen (W Devante Smith-Pelly and Ovechkin) wrister. The Devils’ comeback effort reached a peak 4:35 later when Zajac (Johansson and D Sami Vatanen) scored a tip-in, but they couldn’t sneak another shot past G Braden Holtby. Jersey was definitely put to bed when Backstrom (Carlson) scored on an empty net with 41 seconds remaining in regulation to set the 5-2 final score. Holtby earned the victory after saving 25-of-27 shots faced (.926 save percentage), leaving the loss to Schneider, who saved 30-of-34 (.882). Another DtFR Game of the Day, another home victory. The 48-27-10 hosts have now won two-straight in the series to expand their lead over visitors to 22 points. I will now attempt to write a coherent article as I lay near-comatose full of grilled chicken, hamloaf, turkey, mashed potatoes, corn, biscuits, rolls and whatever else I might have eaten that my holiday-overloaded mind can’t recall. Thumbs up, let’s do this. I told myself I wouldn’t pick Josh Bailey again, so this time I picked his teammate. I promise you I’m not actually an Islanders fan. The Isles continue to score at a torrid pace, and while John Tavares and Bailey both matched Barzal’s six-point output in this week’s three games, I’m giving the nod to the rookie. A bit of a dark horse to even make the squad at the beginning of the year, I did make note of Barzal in my preseason preview article about the Isles, and he’s making me look smarter than I actually am. With 35 points in 36 games so far this season, the 20-year-old from Coquitlam, B.C. has really come into his own in recent weeks. Currently riding a four-game point streak, Barzal chipped in four goals and two assists in three contests this week, including a hat trick Saturday night at Winnipeg. 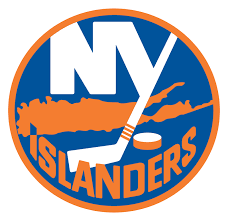 If guys like Barzal and Bailey (not to mention Anders Lee and Jordan Eberle) continue to produce the way they are, the Isles look to be very dangerous, as they finally possess the complimentary firepower to free up some space for Tavares. Chill, Bruins fans (looking at you, Lanciani), I know Tuukka Rask had a crazy good week himself. But, considering their major stats were nearly identical, I’m giving the nod to Reimer based on him grabbing a shutout when Rask didn’t, and the fact that he faced 23 more shots than the Boston netminder. Smilin’ Reimer was truly on it this week. Winning all three games, he allowed just four total goals, scooping up a 1.33 GAA and a .964 save percentage across the contests. With Roberto Luongo still on the shelf, the Panthers desperately need Reimer to continue playing at a high level for them to have any real shot at keeping pace in the Atlantic. At least for the time being, he’s doing just that. 10 games. Seven of them needed OT or the shootout to decide them. Even the three regulation games were at least weird if nothing else. The Hurricanes toppled the Predators, the Stars blanked the Blackhawks, and the Oilers upset the juggernaut Blues. Among the games decided in extra time, you had everything from defensive struggles (Bruins over Jets 2-1 in the shootout, Kings over the Avs 2-1 in OT), offensive showcases (Ducks over Isles and Sharks over Canucks, both 5-4 contests), and a couple rivalry showcases (Devils take out the Rangers 4-3, and Penguins edge the Jackets 3-2 in an extremely heated affair, both in shootouts). Just one of those strange nights where the hockey gods decide that everything gets an extra sprinkling of awesome. Radko Gudas got suspended for about 137 games for a slash, because at this point he has to be doing stupid stuff on purpose. Boone Jenner had a game misconduct penalty retroactively rescinded (because that’s apparently worth something) by the league after being kicked from the CBJ/PIT game by possibly the softest game misconduct ever issued. Alexander Burmistrov has ‘retired’ from the NHL to return to his native Russia and play in the KHL. A once-promising prospect of the Atlanta/Winnipeg organization, Burmistrov left the NHL for the KHL back in 2013 before returning in 2015. His NHL career never really blossomed into what was hoped, and it sounds like the 26-year-old simply enjoys playing at home much more than playing in North America. Zac Rinaldo again finds himself amid controversy, staring a likely-lengthy suspension in the face. After laying a hard (though seemingly clean) hit on Nathan MacKinnon, Rinaldo sucker punched Avs rookie Samuel Girard who had come over to confront him after the hit. Erik Johnson then stepped in and used the fact that he is the size of a Chevrolet Silverado to his advantage, but by this point things had already entered into the category of line brawl. Girard never dropped his gloves, or even looked as though he had any intention of actually fighting Rinaldo, so it’s easy to see where the impending punishment has grounds to stand on (particularly in the case of oft-suspended Rinaldo), but counter-points have been made by more than a few people, most notably former NHL tough guy Paul Bissonnette, most to the tune of ‘Girard probably shouldn’t have gone after someone he didn’t intend to fight’. Regardless, expect to see a lot less of Rinaldo over at least the next few games. Ken Hitchcock reached the 800-win plateau as a head coach when his Dallas Stars beat the Blackhawks in the aforementioned Thursday night 4-0 blanking. Hitch is only the 3rd coach in NHL history to reach the milestone, with just that night’s opposing coach Joel Quenneville and Scotty Bowman ahead of him. Editor’s note: The common thread between those coaches? All three have coached the St. Louis Blues, yet none could lead the Notes to the Stanley Cup. The prodigal son has returned, and it is time, once again, for me to assault your reading receptacles with my meaningless awards and incessant ramblings. Thanks to Cap’n for stepping in for me while I was off going to random ECHL games and concerts. A special note: I’ve dropped the ‘Team of the Week’ section of these articles in favor of a new bit of weekly content that will be debuting here shortly. It will be replaced by a split of the ‘Player of the Week’ section, now giving one award to a skater, and one to a goaltender. Anyway, in the season’s first repeat performance, Josh Bailey again earns the nod for being the only Islander better at being underappreciated league-wide than John Tavares. The New York centerman is on a five-game point streak, four of those taking place this week. In those four games, he has four goals and four assists, including a hat trick in a losing effort to the Columbus Blue Jackets (the first time in franchise history the CBJ allowed a hat trick and won the game, a stellar 1-32-1 record for my boys in blue), and has a scarcely-believable 40 points in just 33 games this season. For reference, Bailey has previously topped the 40-point plateau only twice in a full season in his entire career. 28 years old seems a bit late for a coming-out party, but Isles fans are hardly going to complain about finally giving JT some depth scoring support. Possibly the only thing hotter than the Philadelphia Flyers of late is their own goaltender. Riding a six-game winning streak overall, including a perfect three-win performance this week, Ells has drastically altered the fortunes of the once-floundering Flyers, and has the Philly Phaithful at least starting to bother watching anything but Eagles games. Starting off the week with 20 saves on 22 shots to down the Leafs, Elliott followed that up with single-goal games against Buffalo and Dallas to carry a superb .943 save percentage and 1.31 GAA through the week. The Flyers are still a few games back from the current Wild Card teams, but they hold games in hand on a good portion of the conference, and are much closer than any team that at one point lost 10 consecutive games should realistically be. I’m not even going to bother with the advanced stats, or play-by-play, or whatever else you think pertains to being the game of the week. This game was basically from a movie script. Recently-returned Marc-Andre Fleury facing the only team he had ever known prior to this season, he gets a hug from opposing goaltender Matthew Murray, who’s reasoning was simply “I missed the guy!”, and if you don’t love that you have no friends. Four total former Penguins have found refuge with the upstart Knights, who continue to crush every single expert’s opinion about what an expansion team is capable of and are slowly shedding their ‘Island of Misfit Toys’ appearance in favor of being a legitimate contender. Fleury stops 24 of 25, two of the three other former Pens tally points, and the franchise that didn’t exist last year beats the two-time defending Stanley Cup champs. Somebody call Disney. Longtime Senator Chris Neil decided to hang up the skates this week, after a career spanning 15 seasons and over 1,000 games. One of the last of the ‘enforcer’ breed remaining, Neil was always known as one of the most complete players to wear the tough guy label, and was a highly-respected player both within his own locker room and throughout the league. All the best to Chris in his future endeavors. In other Senators news, owner Eugene Melnyk said this week that while he has no aspirations of selling his team, he would consider relocating the franchise. While I’d imagine this resulted in numerous flaming bags of feces being placed upon his doorstep by Ottawa residents, I’m sure Quebec City natives happily sacrificed their shoes for their new hero. Oh, also in Ottawa news, holy frigg did that NHL 100 Classic look cold. I mean, I know with it being Ontario there were probably shirtless locals in attendance, but I was more than happy to watch from home. Seattle looks poised to be the next expansion city, which is great, but I’m only going to really get on board if they decide to go with popular opinion and name the team the Seattle McSeattle Faces. Kari Lehtonen joined a fairly exclusive club this week, as one of just 33 goaltenders to earn 300 wins in an NHL career. All the props in the world to him, because as someone who has spent his entire career with mostly-lackluster teams (I mean, he played for the Thrashers), it’s one hell of an accomplishment. Kari also surpassed Miikka Kiprusoff for most games played by Finnish goaltenders in the same contest, and trails only Kipper in wins by Finns. But with Preds stud Pekka Rinne at 285 career wins, the race to catch that record could be interesting. Cam Ward also reached 300 wins this week, but only managed to hold on to the distinction of ‘Most Unlikely 300-win Goalie’ for about 24 hours before Lehtonen would steal the distinction.